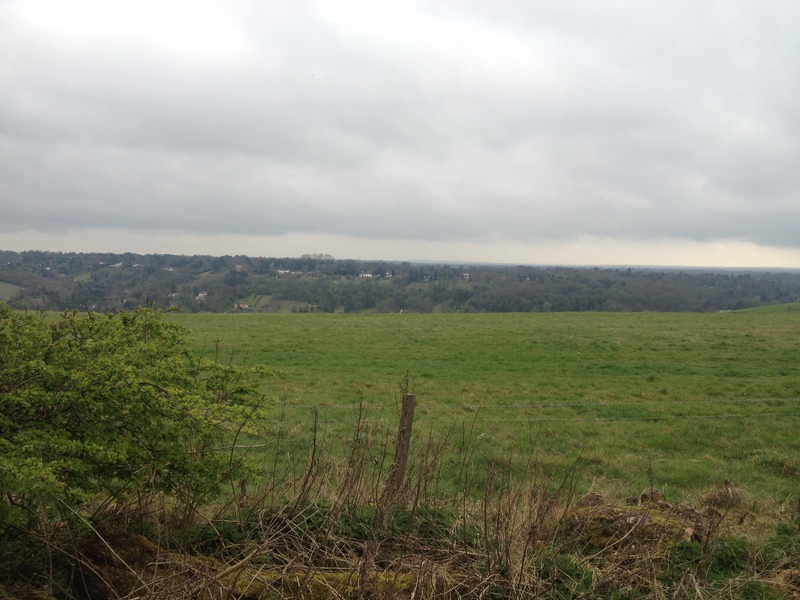 A rather gloomy damp day, but nevertheless 14 people turned out for our ride today. Apart from our own Bromley Cyclists it was lovely to see some riders from Bigfoot and our friends from Pollards Hill. We set out from Norman Park at around 10.00am, our ride leader today being Spencer. 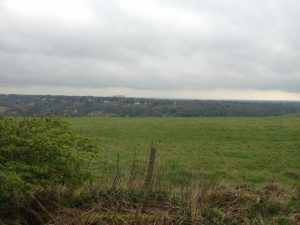 Straight up the A21 to Locksbottom, where we turned into Farnborough Park to view some of the more up market property in the area. 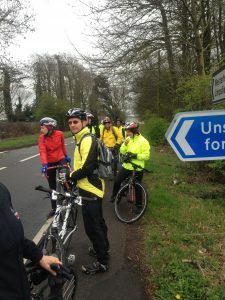 Then it was off towards Farnborough Village for our first incident of the day, Stephanie had a puncture, so we split into two groups and the first group headed off through Farnborough Village, on to High Elms and up to Downe. It wasn’t long before the others joined us and then it was a steady uphill to Berry’s Green, across the main road at the top of Westerham Hill and on to Tatsfield. Our tea and cake stop today was at Beaver Water World at Tatsfield. Everyone was looking forward to their cake when Spencer had a puncture. The call of the cake was too much, so we left our trusty leader to mend his puncture while the rest of us sped on up the hill to the cafe. 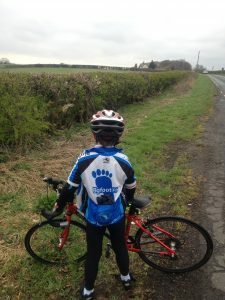 Here we had a little Easter egg hunt for our younger members, while others of us enjoyed giant slices of Victoria Sandwich, while trying to convince ourselves that we had indeed cycled up enough hills and burnt off enough calories to warrant eating such a hugh lump of cake. As we set off from the cafe it was nice to know that apart from a few short hills, the majority of the ride home was downhill. Just a bit of rain for ten minutes on the way back, but on the whole it had remained dry. We arrived back at Norman Park at 1.30pm in time for everyone to get home for lunch, or at least those who were lucky enough to be having their lunch cooked for them could. A lovely ride of around 25 miles; thanks to Spencer our ride leader for organising and thank you to everyone who came.